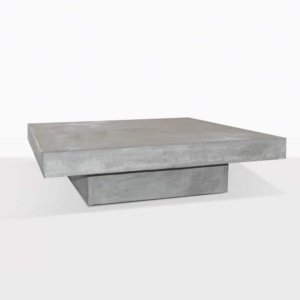 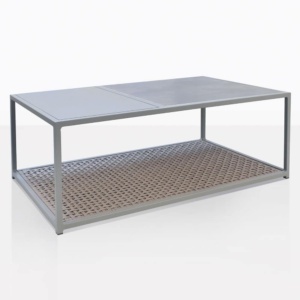 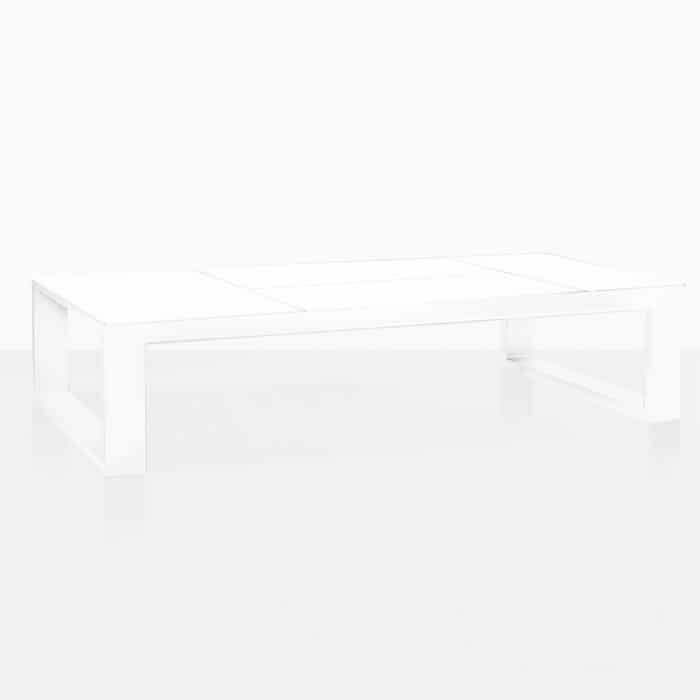 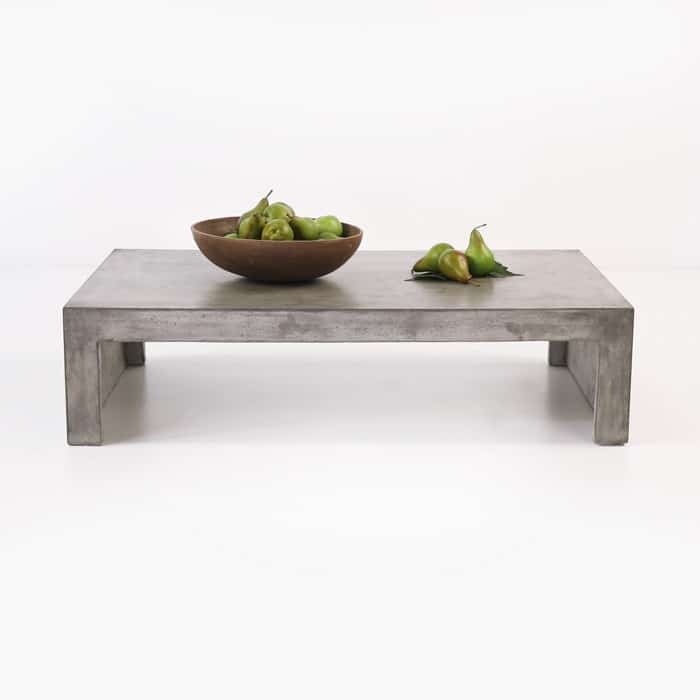 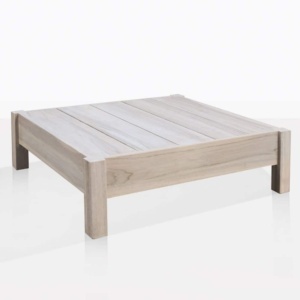 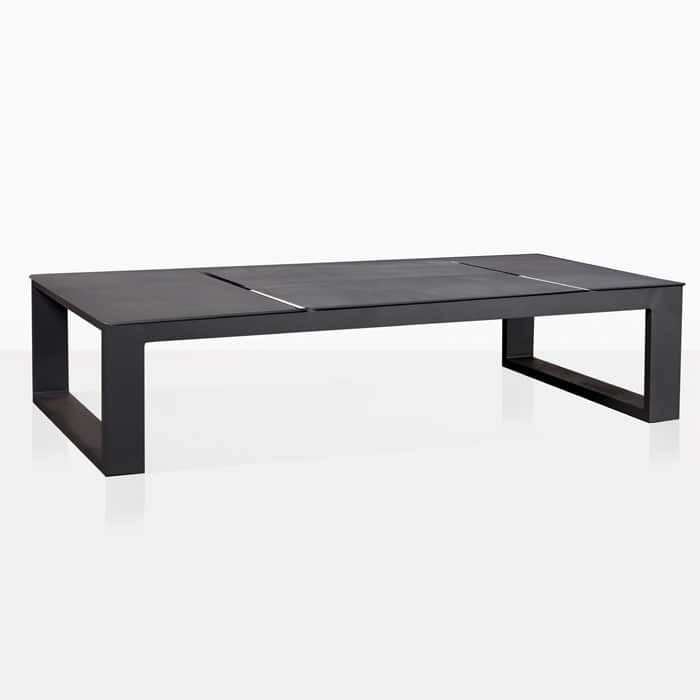 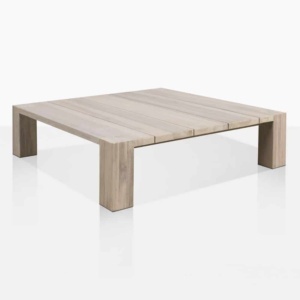 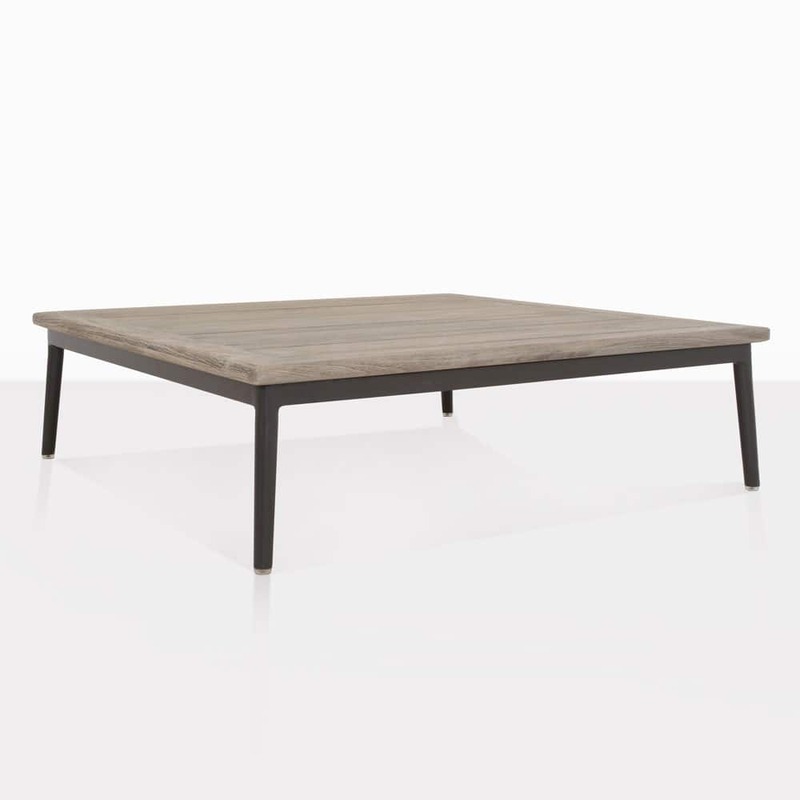 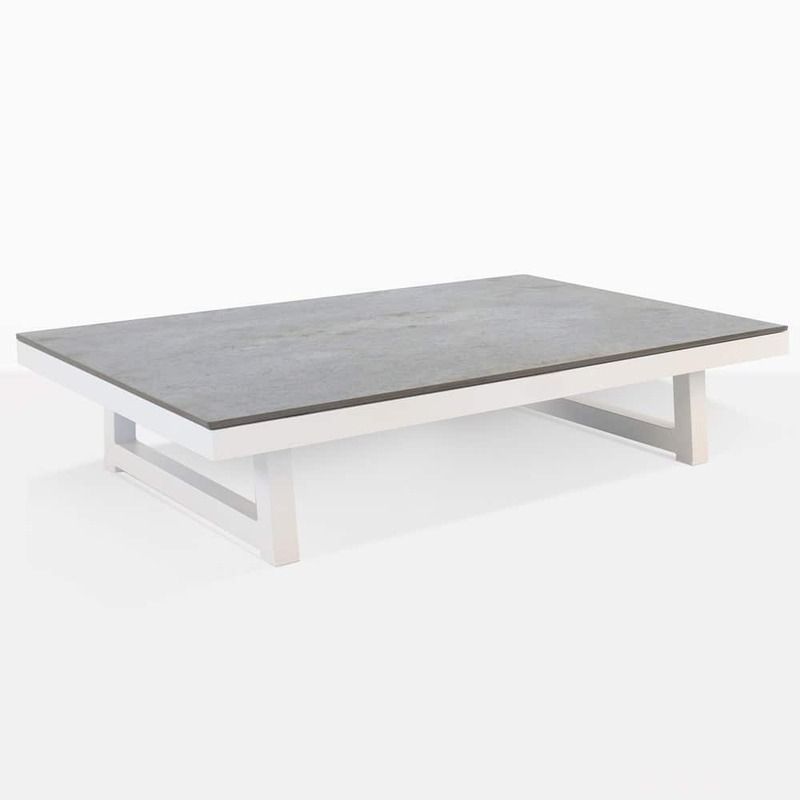 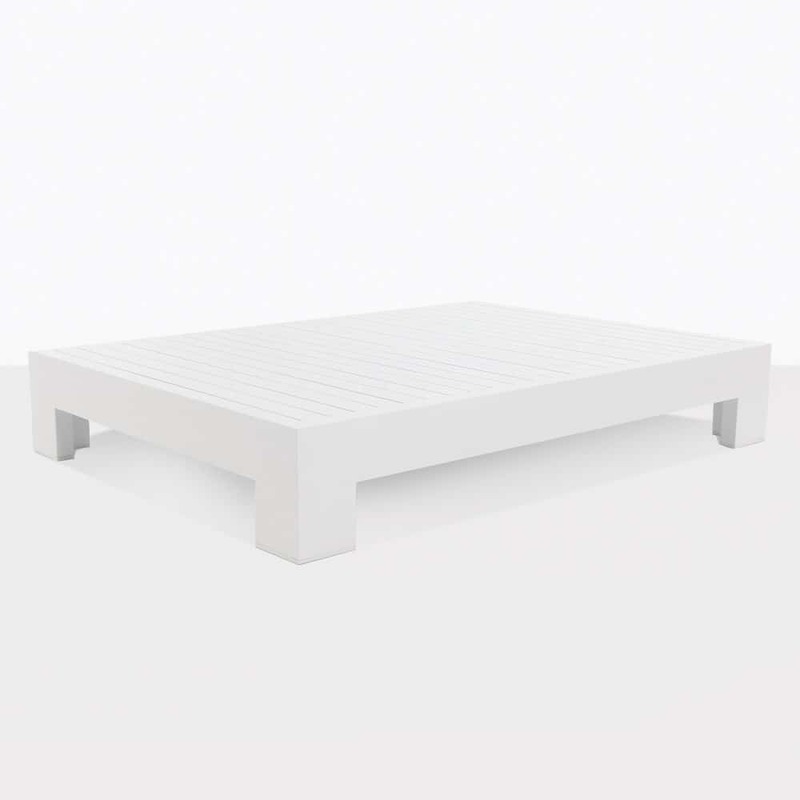 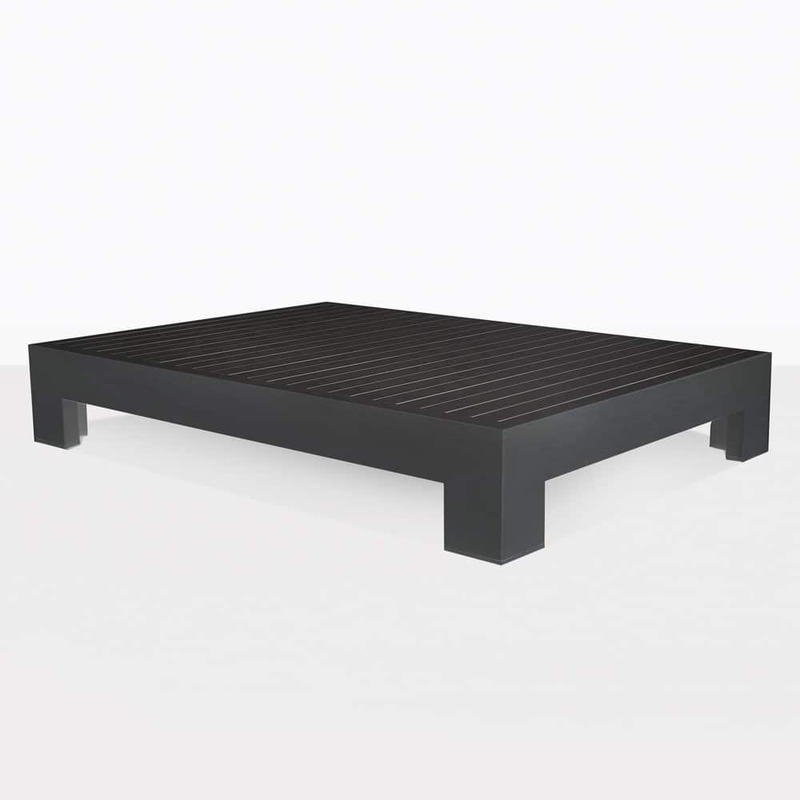 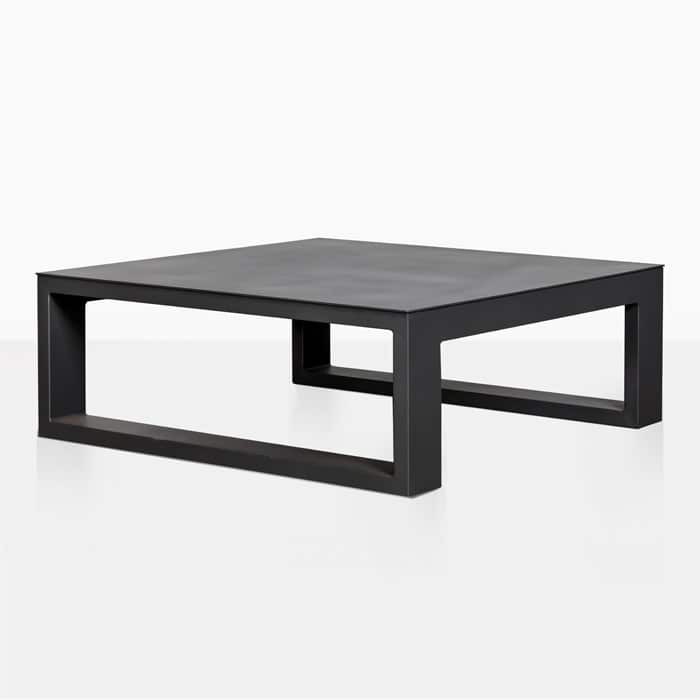 Essential for outdoor living; find the perfect addition to your outdoor area with the wonderful range of Coffee Tables available at Design Warehouse. 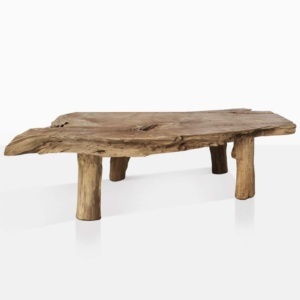 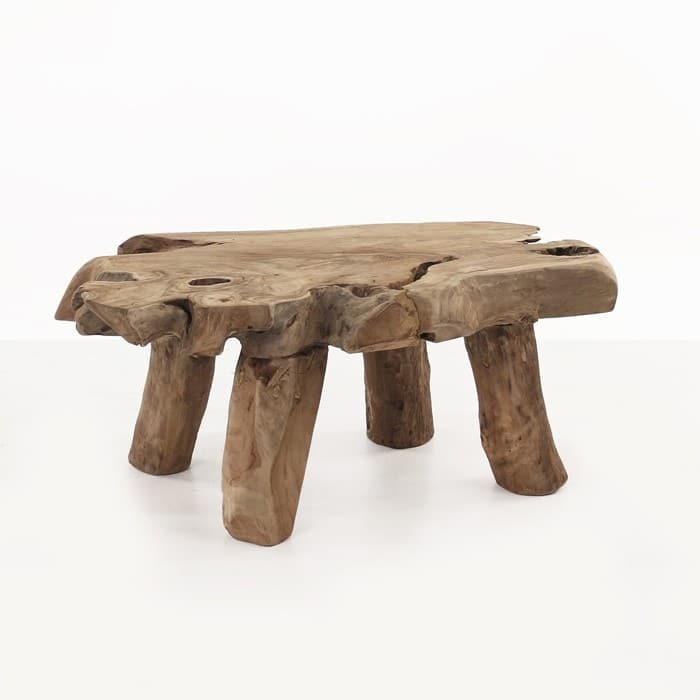 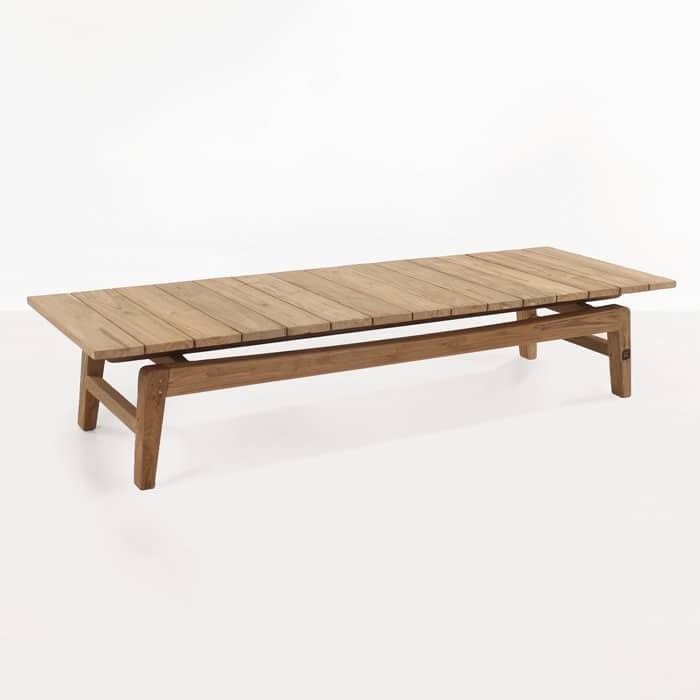 Whether you’re on the hunt for the perfect rustic Coffee Table to complement your reclaimed teak deep seating set, or after a modern, minimalist flavour to bring into your wicker setting, we have everything you need in store, online and available to send to you, anywhere in the country! 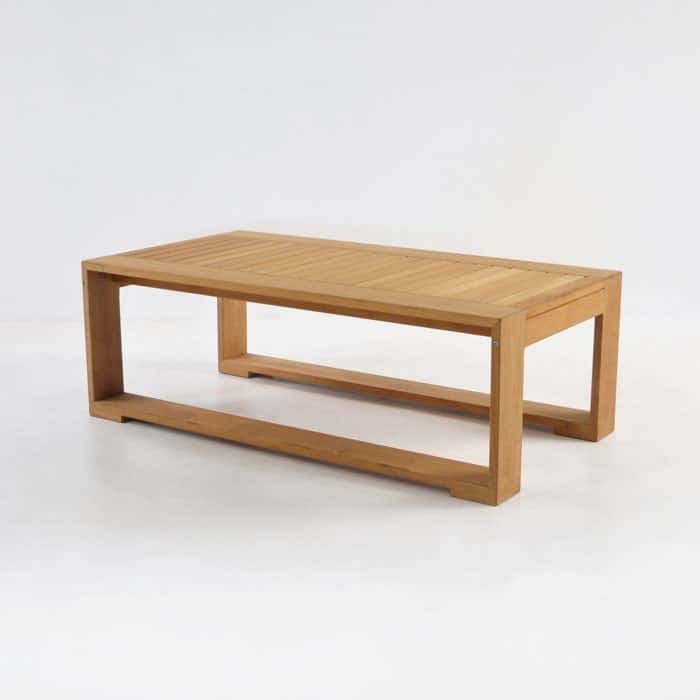 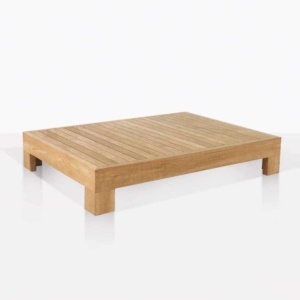 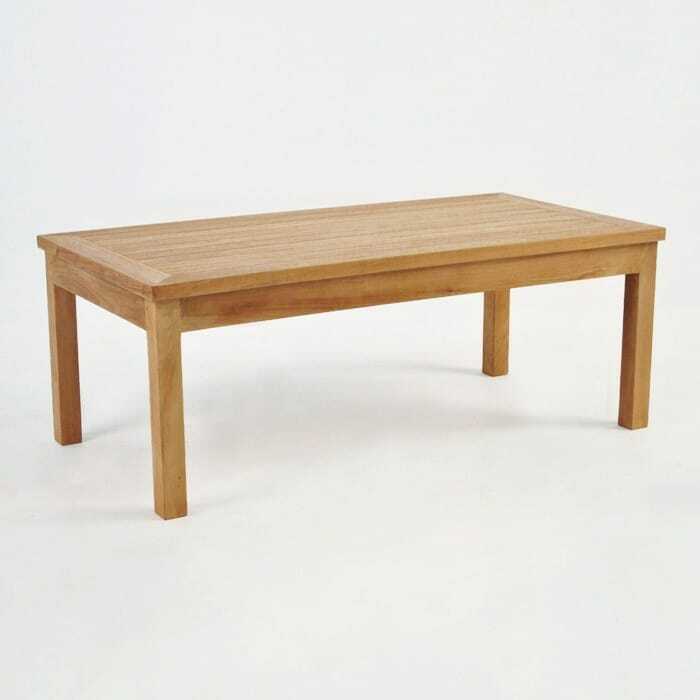 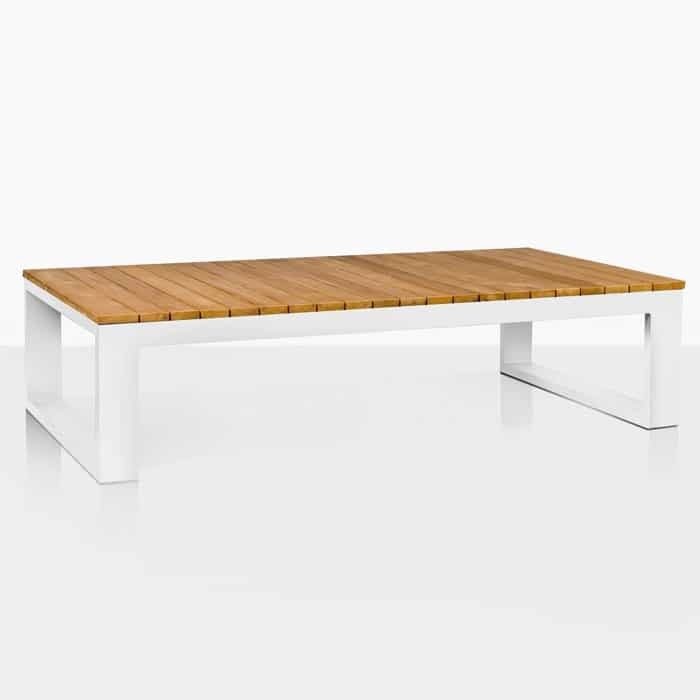 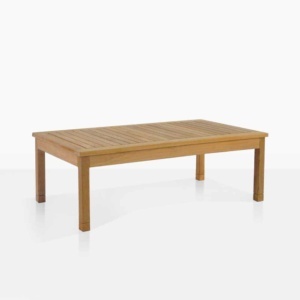 Enjoy the solid architecture and pleasing lines of the Cabana Coffee Table, with a waterfall framework, and a flat, panelled top, this attractive Grade A Teak Table is a perfect choice to add into your Cabana furniture or mixed into any of our other Teak deep seating collections! 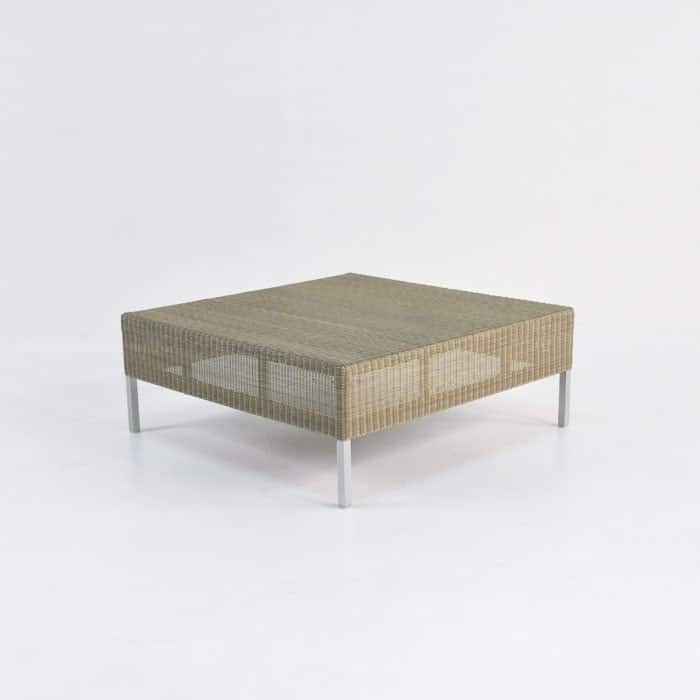 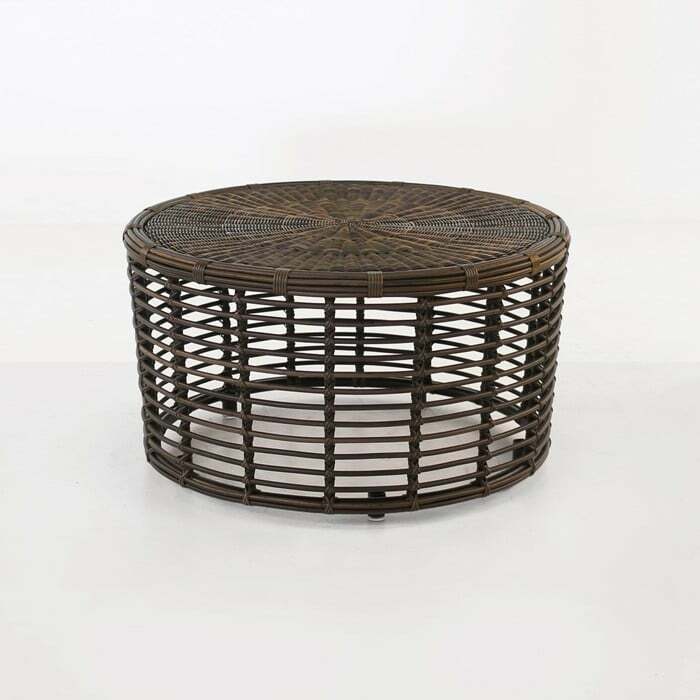 Bring in texture to your concrete deep seating set, with one of our wicker Outdoor Coffee Tables. 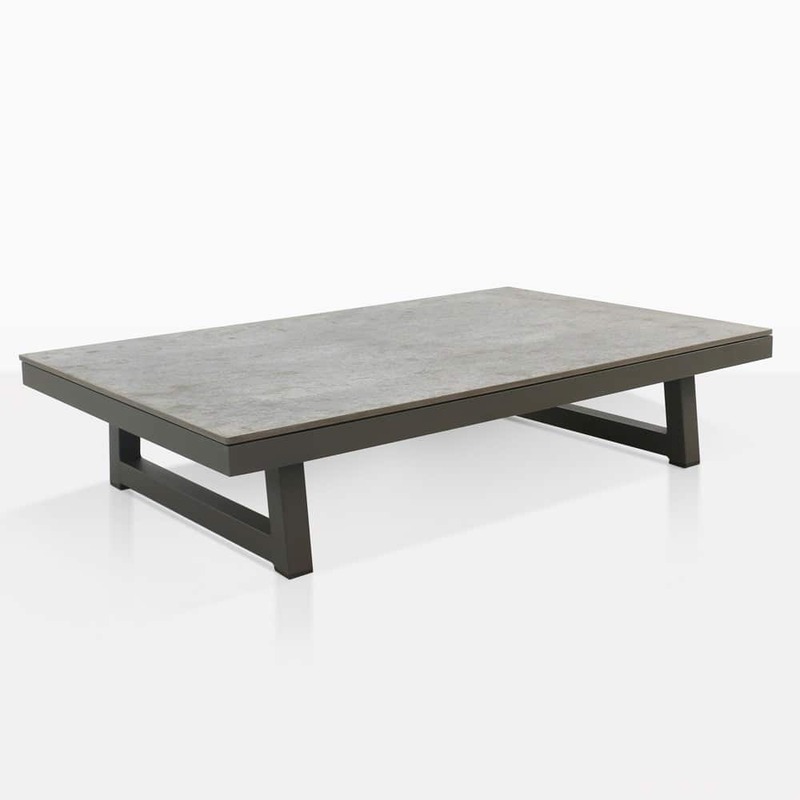 Try the Austin in Stonewash for an industrial yet elegant vibe. 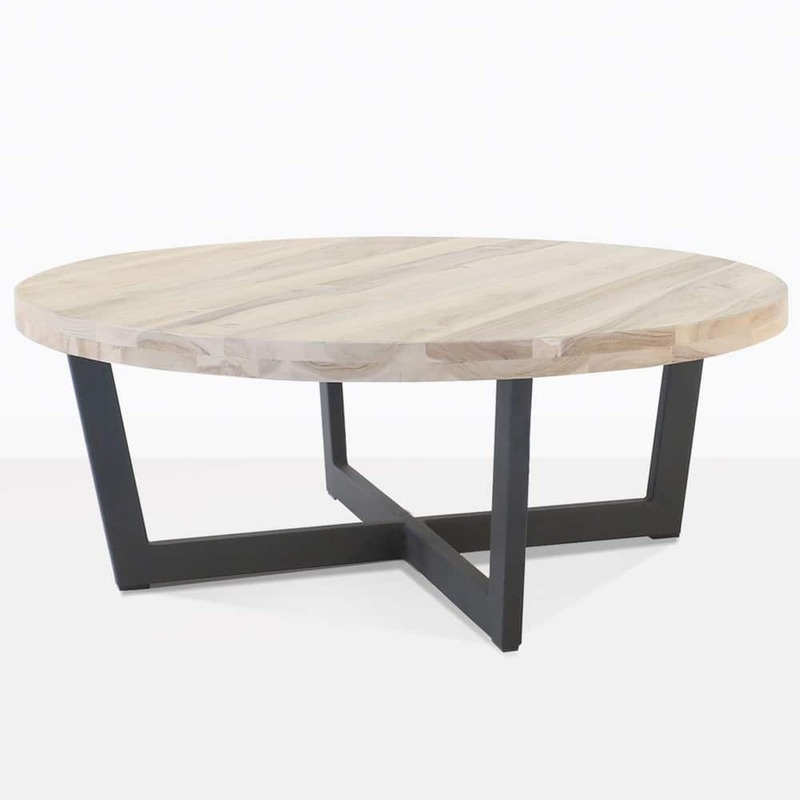 Maybe your porch or balcony is calling for a small Loveseat and a round coffee table to match. 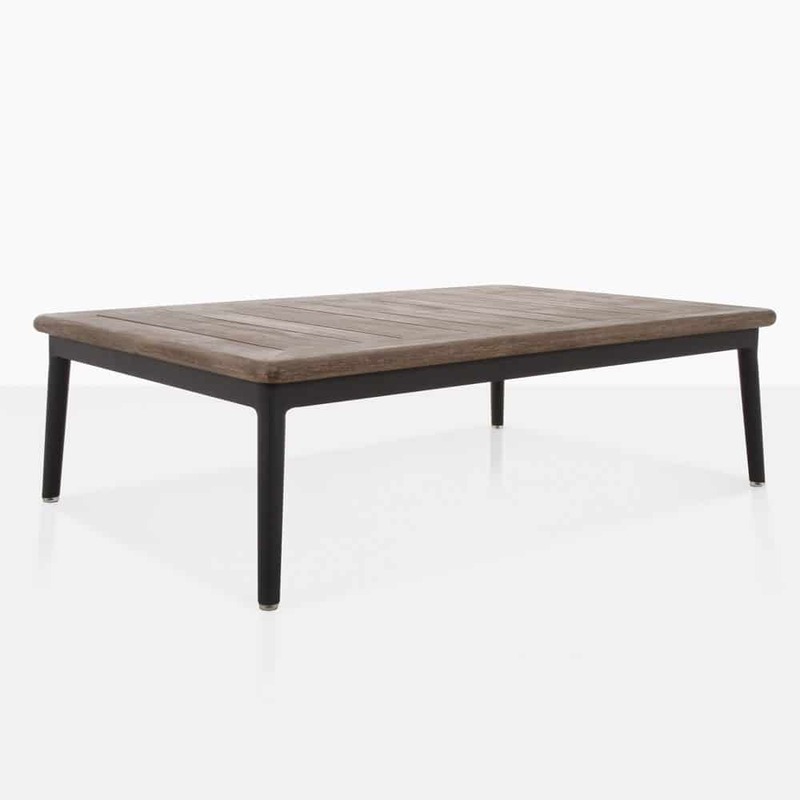 Set up our Westminster Loveseat and outdoor Coffee Table for a charming setting with incredible comfort. 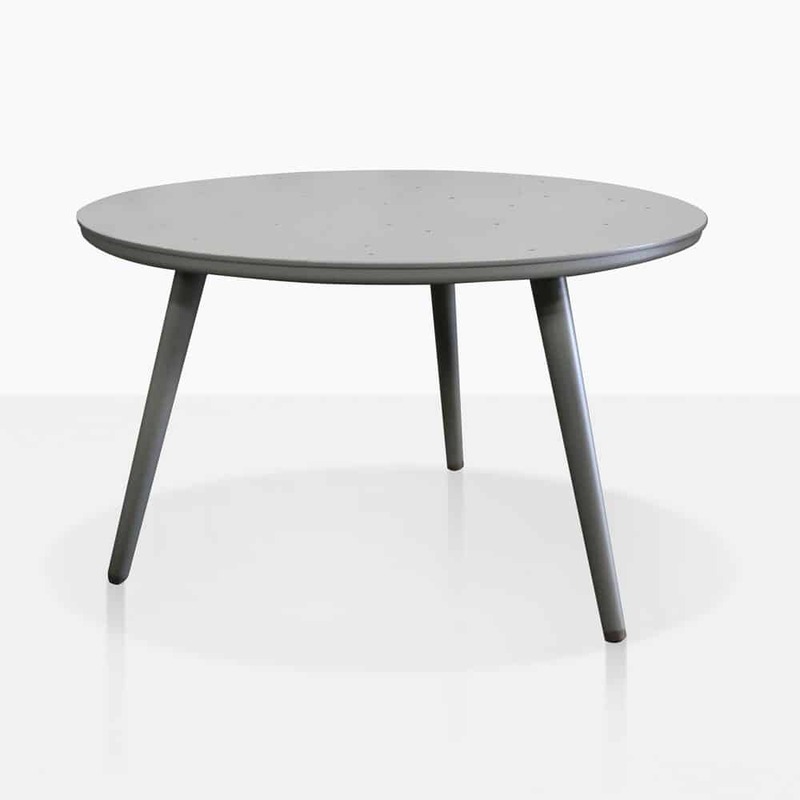 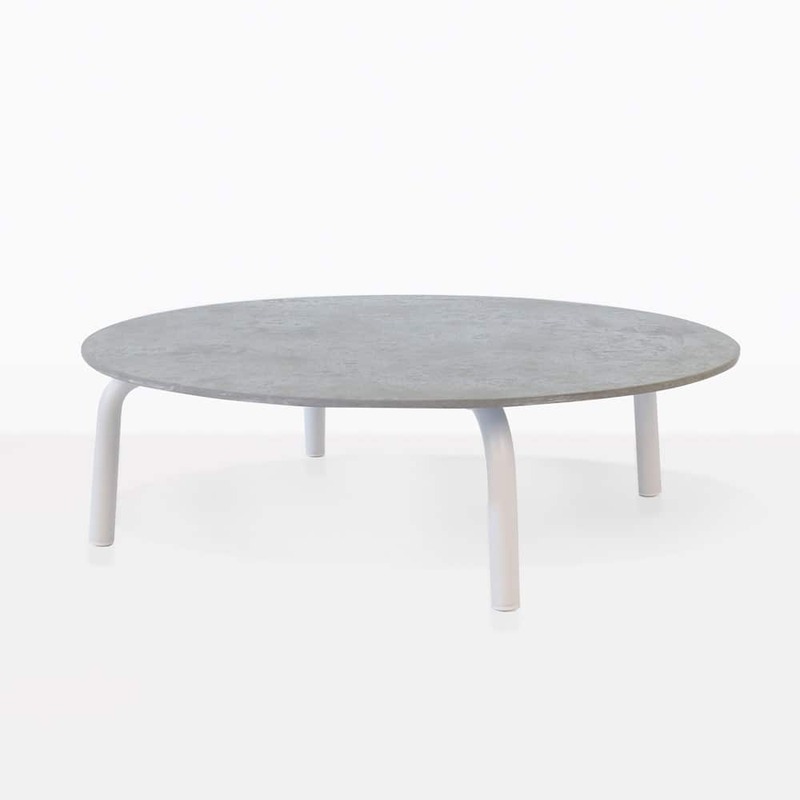 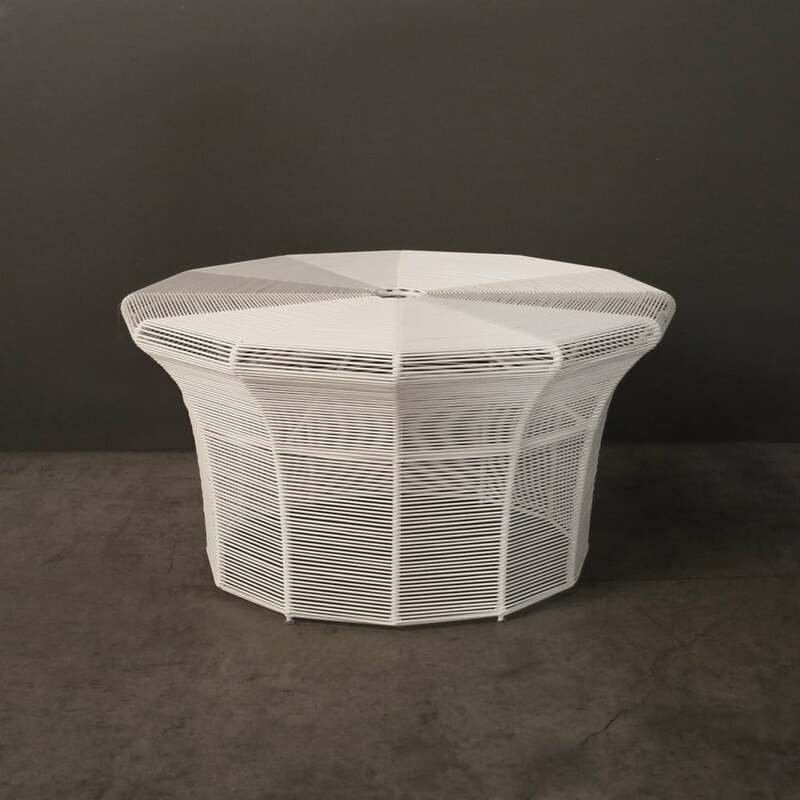 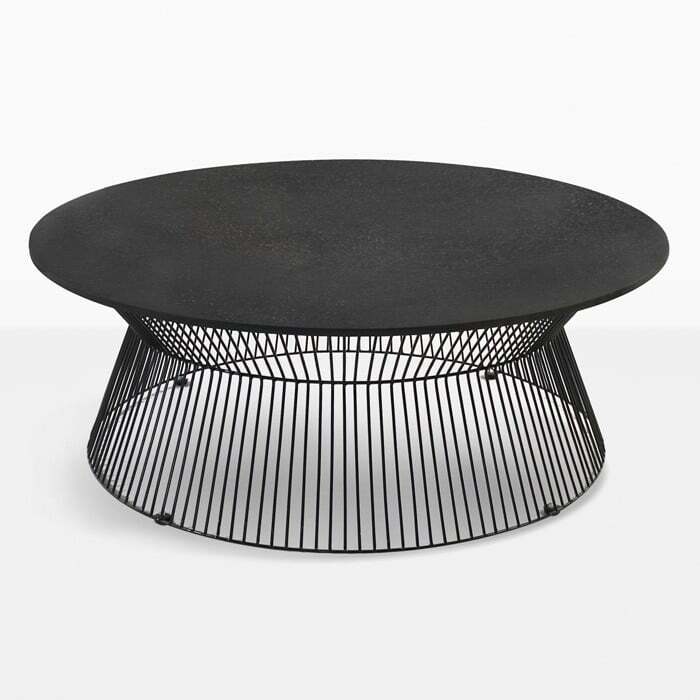 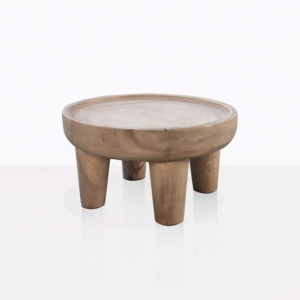 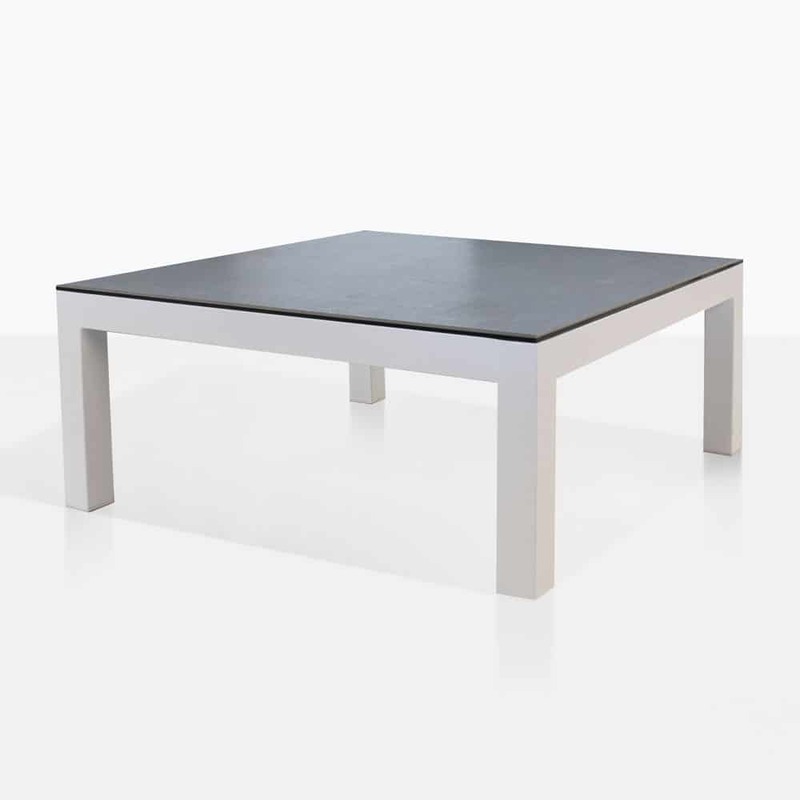 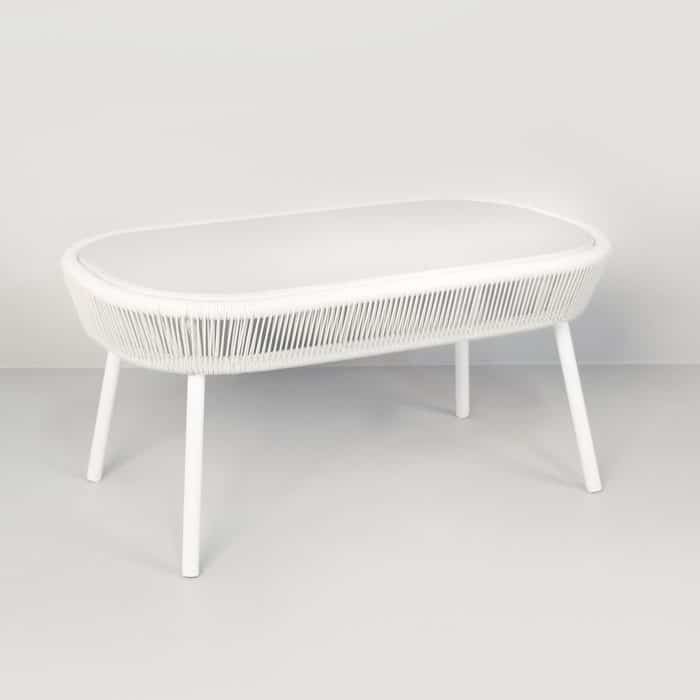 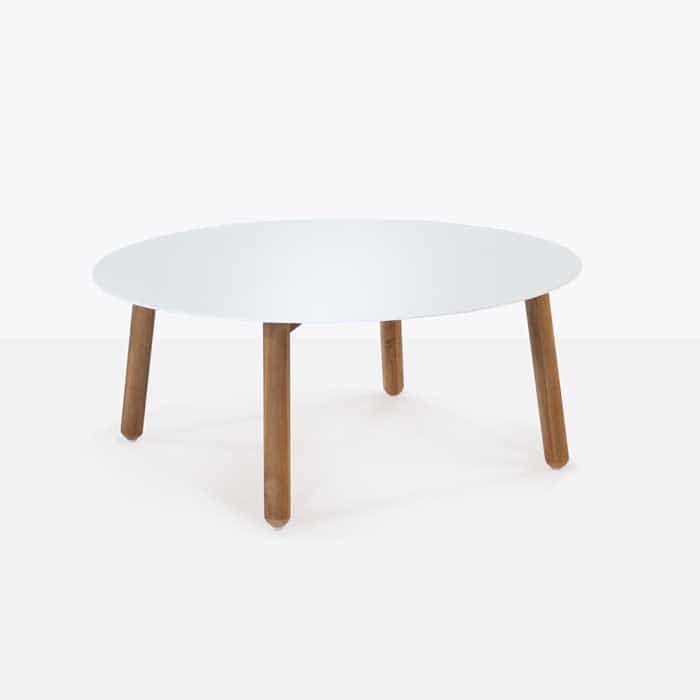 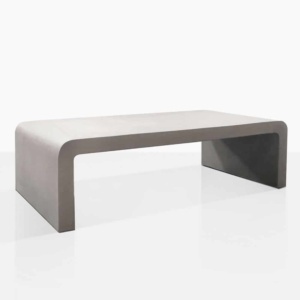 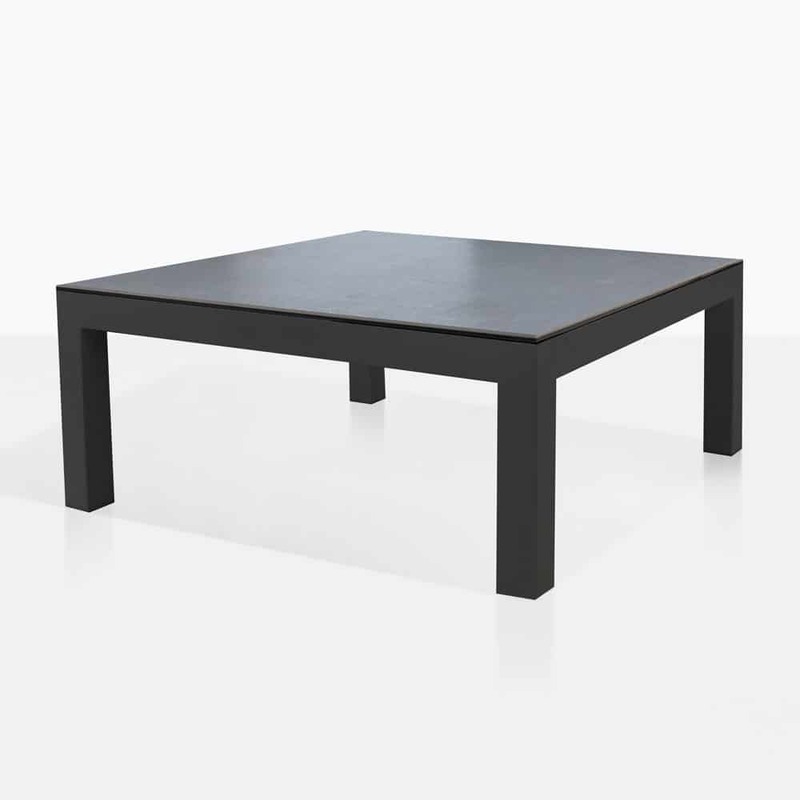 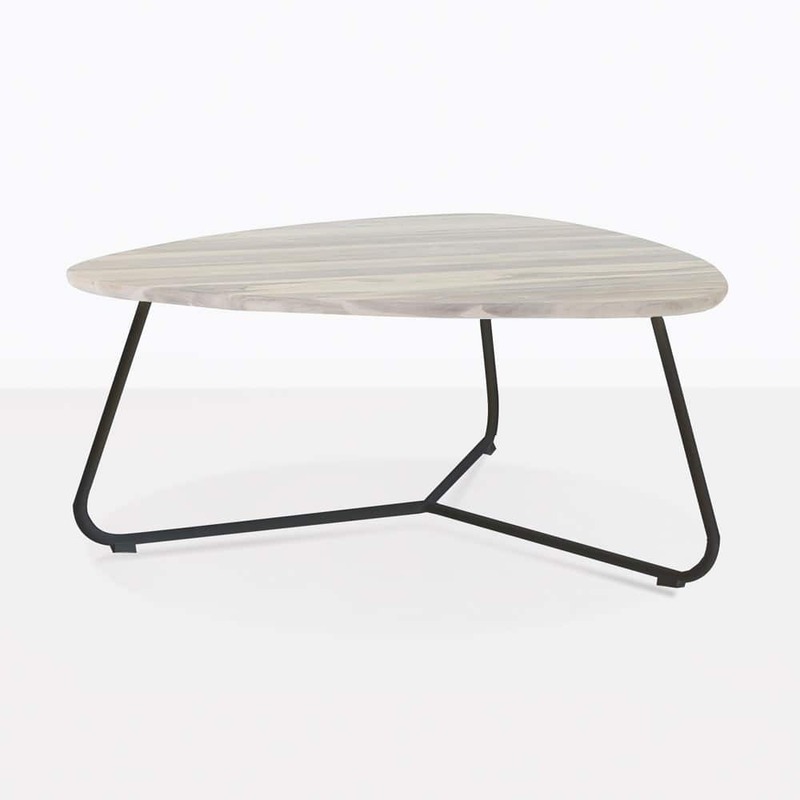 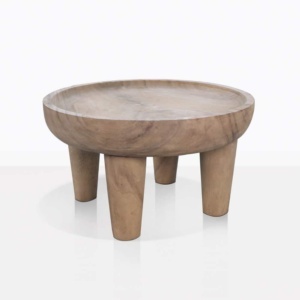 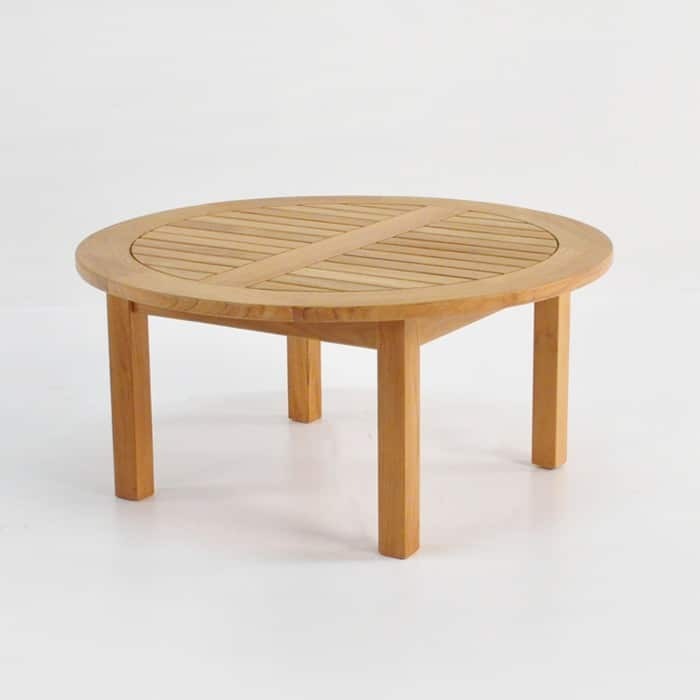 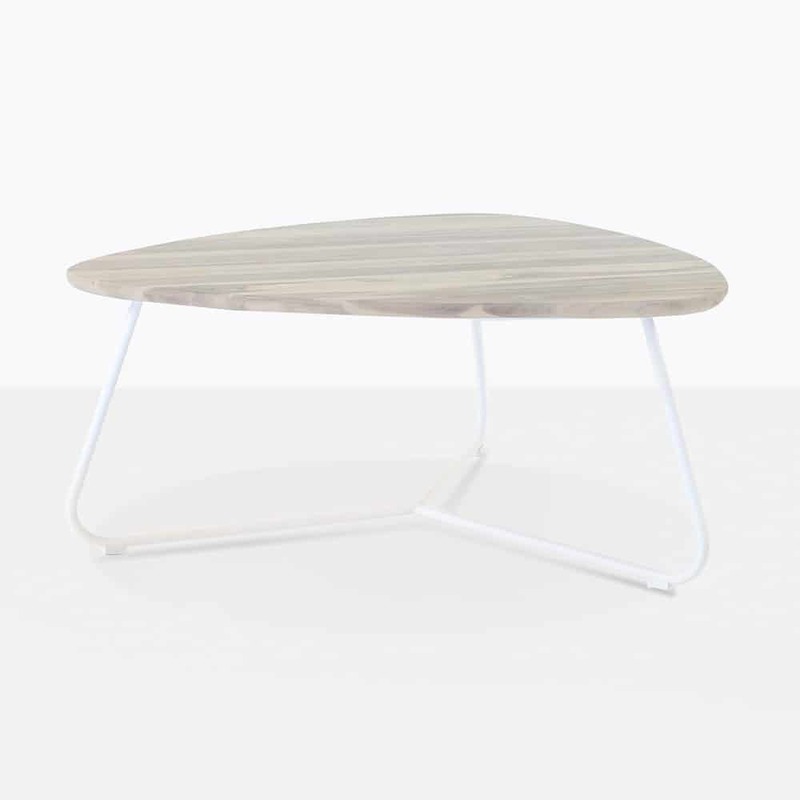 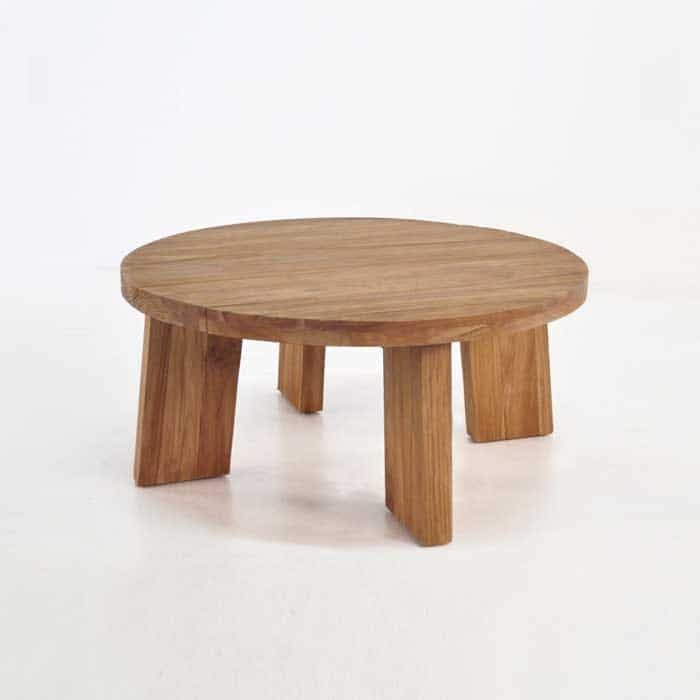 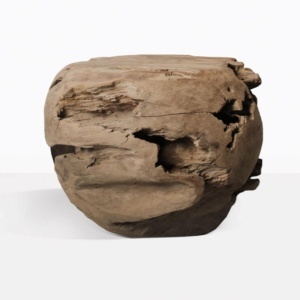 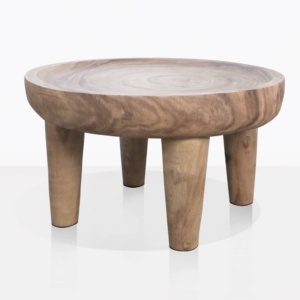 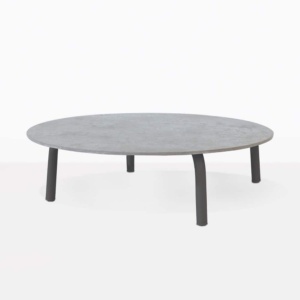 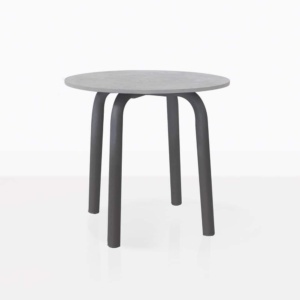 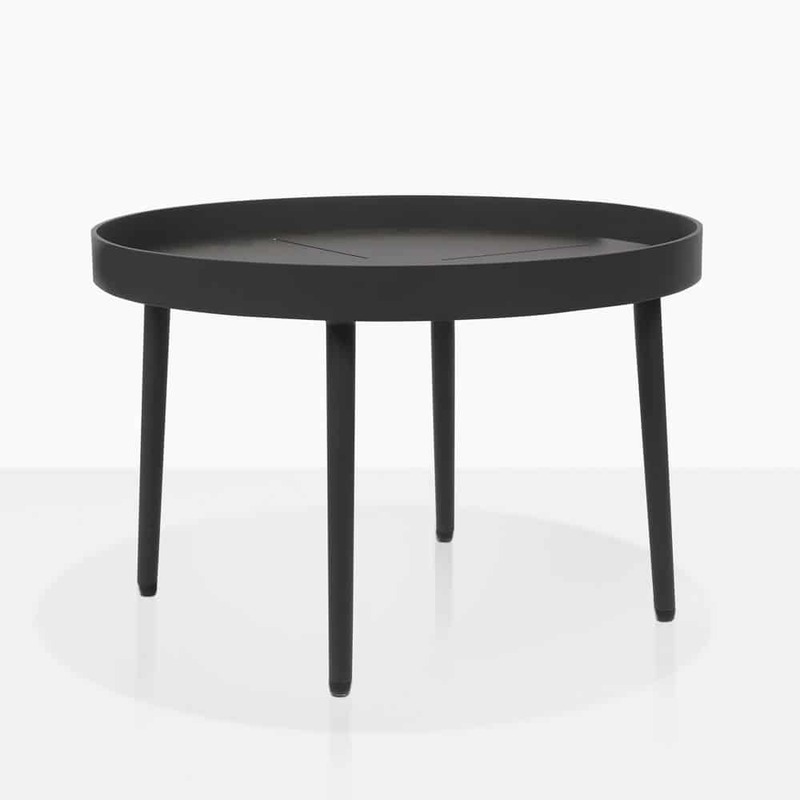 Design Warehouse has an incredible range of rectangle, oval, square and round outdoor coffee tables and much, much more. 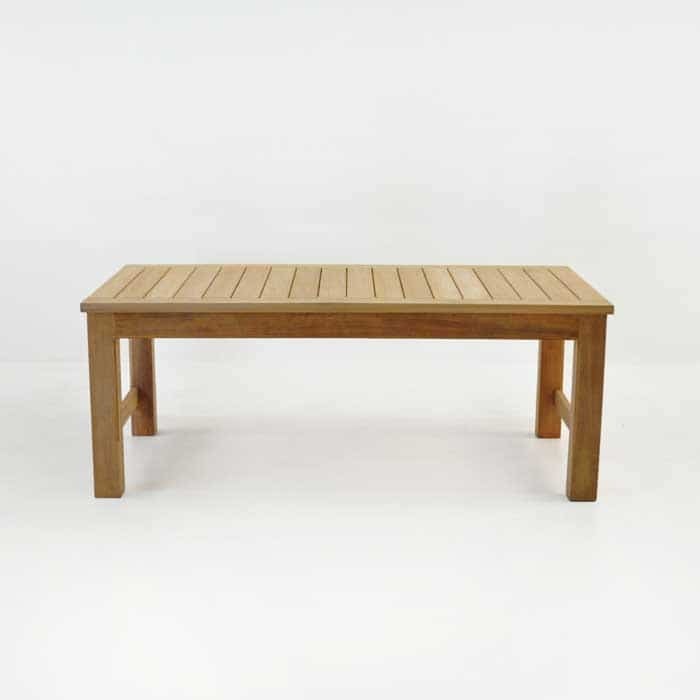 All designed for the outdoors, ready to make their way from our warehouse to your home. 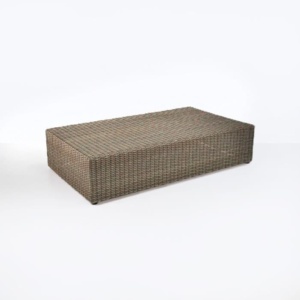 Our materials are loved by all for their beautiful look and outstanding quality, starting with Grade A Teak full of natural rubber and oil, then our Concrete range, a composite mix with fibre glass and resin, amazing wicker that’s through-dyed and UV treated and looks incredible. 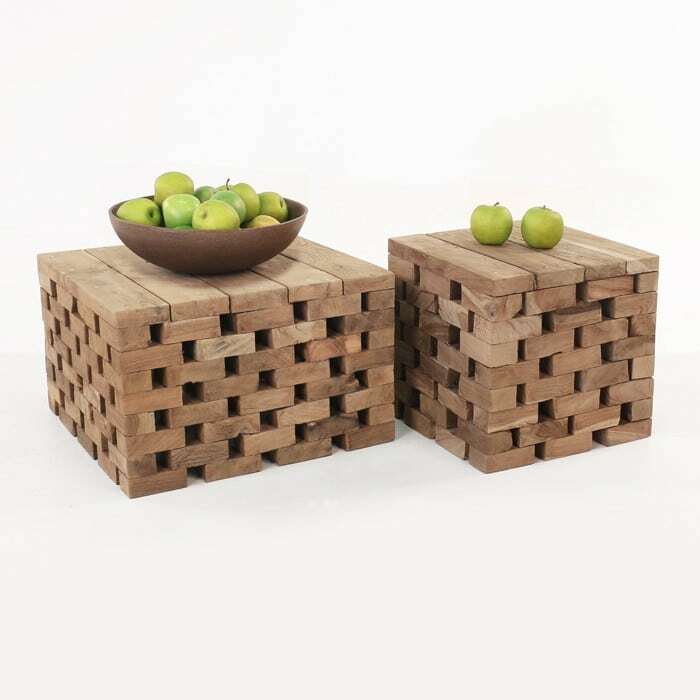 These are just some of what’s on offer at Design Warehouse. 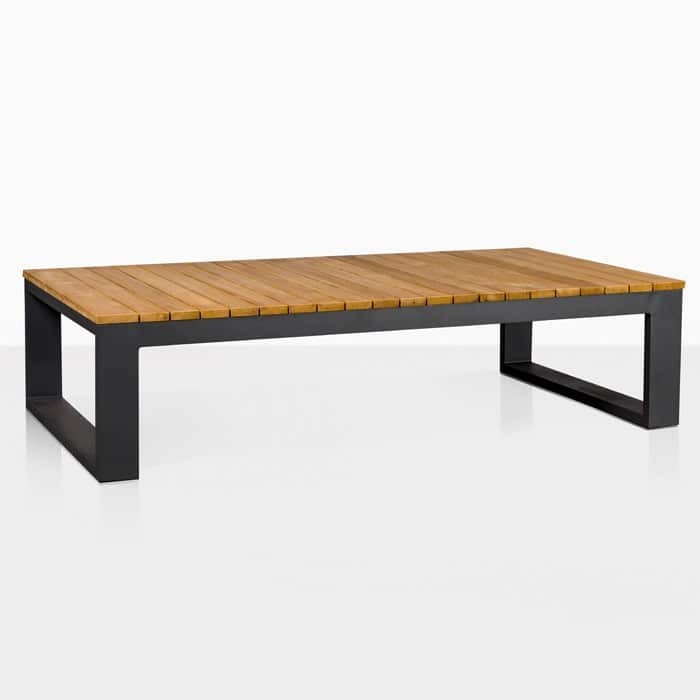 We are the leaders in outdoor furniture. 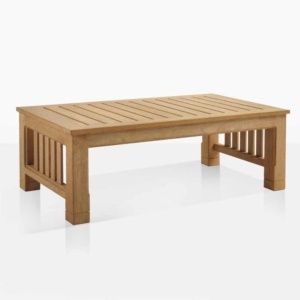 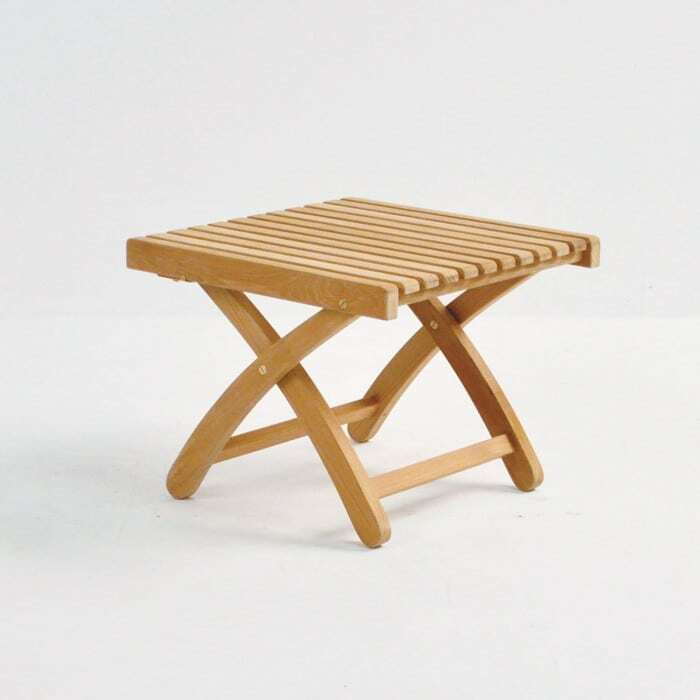 Whether you’re after an Outdoor Coffee Table or a dining set, we have everything you need! 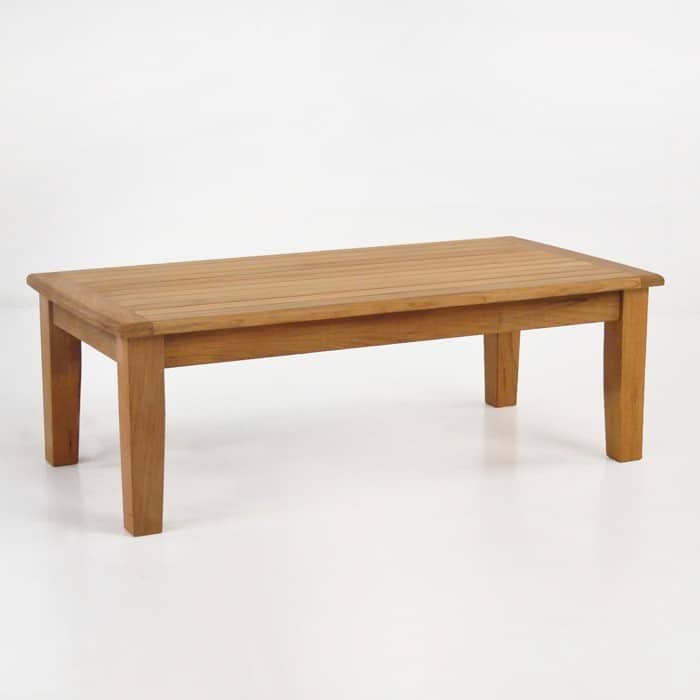 Call us today to find the perfect style for your home.